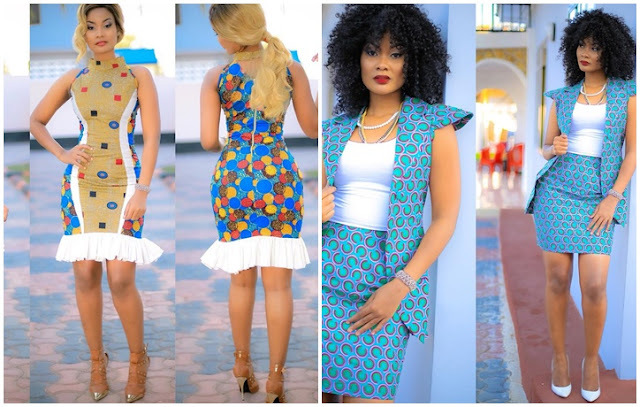 Home / african print fashion / Bongo Celebrity / Classy / Fashion / Hamisa Mobeto / 2 CLASSY MISHONO FROM HAMISA MOBETO YOU COULD WEAR TO WORK. 2 CLASSY MISHONO FROM HAMISA MOBETO YOU COULD WEAR TO WORK. Model/fashion icon Hamisa Mobeto keeps slaying endlessly, angalia hii mishono she wore lately are both classy and perfect for work, na the prints are bright and cheerful. And the best thing about these ni kwamba unaweza kumix it up, kama hii ya kwanza sio lazima uvae full unaweza kuvaa na a black blazer instead au hata with a white classy top. And for casual style unaweza kuivaa tu the vest coat hiyo pamoja na jeans. Perfectly showing her curves, add up a coat or blazer and you are good to go for work, kwa outting you just go on as it is.